I’ve continued my work from March on dogeDIG. I finished the first iteration of a fresh new jump animation and got it setup (roughly) in-game while realizing I really need to refactor a lot of code. The current state system is a mess and theres only a handful of states to switch between. So theres some improvements to be made in that department. Then during a drive to the Adelaide hills I listened to one of the latest episodes of the debug log podcast about world building. This is an area I’m struggling with a bit for dogeDIG. I’ve had a rough idea for the style of the characters/environments for a while but I’m feeling like the direction I’ve taken so far isnt hitting the mark. I’ve got a different pixel-art style in mind which is a more developed version of the art I did for my mini game demo ‘Glitch Pixel‘ but I’m not sure if thats the direction I’m looking for either. It dawned on me listening to the podcast that this struggle is a good deal due to the fact that I dont have any proper foundation for the design and style – ie any kind of ‘style bible’. I think at this point if I can nail down a proper style brief I’ll be in a better position to move forwards. More R&D ahead on that one. Then in the final hour of day-1 I dug up an old modelling project I was working on towards the end of last year – a PBR character thats an early WIP. The first step will be to finish the base model of the armour, then I’ll use that to do some rough concepts for more unique characteristics for the squad-leader character I have in mind. 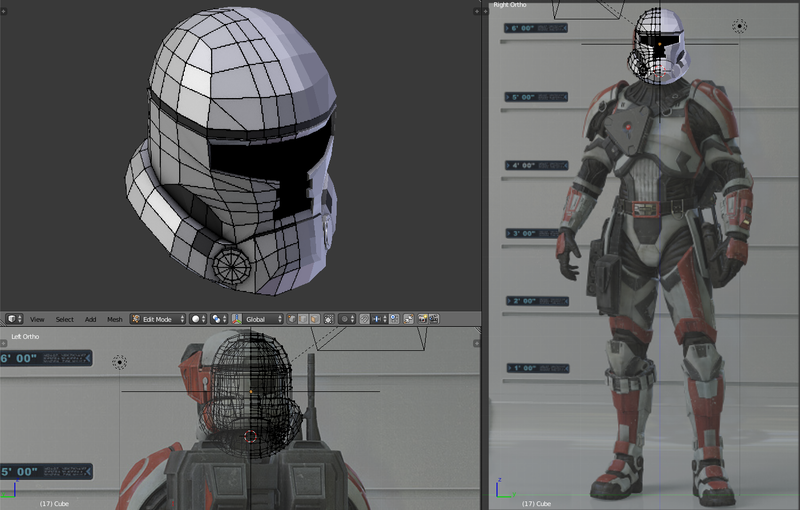 Once thats done I’ll be needing to learn some serious ZBrush skills as I move into the high-poly detail work. Thankfully, Ive got a few tutorials to go through to get that done! Thats all for day 1. I aim on blogging at least every 10 days to review how things are progressing, but if anything interesting comes up in the meantime then I’ll do some in between blogs too. But either way, thats all for now! Alex_ADEdge on …and Here. We. Go. Alex_ADEdge on Here we go .. again! Who: We’re a group of creative people mostly from Australia – but also from overseas with one member from the Netherlands! Why: The 100 Day Challenge is designed to inspire creativity, push for discipline and sharpen skills in the area of the participants choice. When: The latest challenge starts April 1st, 2019 and goes until early July! Designed by CodetoRank.com. © 2019 100DaysBlog. All Rights Reserved.